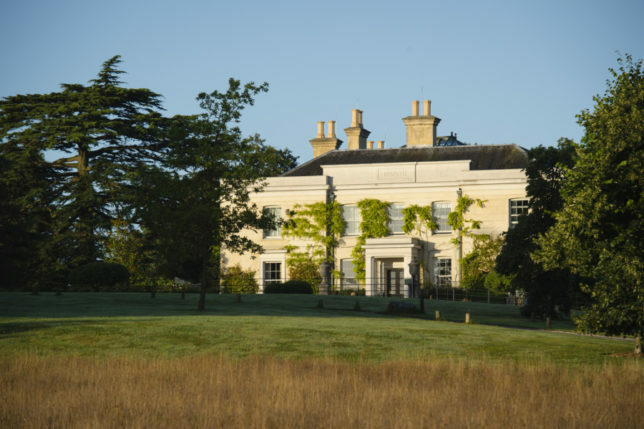 Lime Wood is famous for being the only 5 star hotel in the New Forest and is also known for the exceptional cuisine of its restaurant Hartnett Holder & Co which is headed up by Michelin Star Chef Angela Hartnett and the talented Luke Holder. 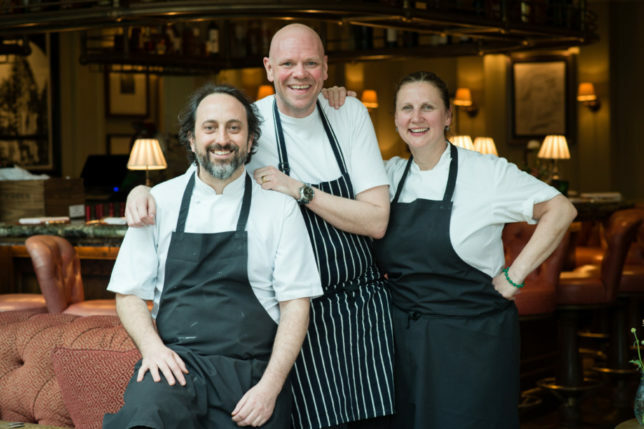 A series of pop ups have been introduced recently including a very popular one with Michellin-starred chef Tom Kerridge. 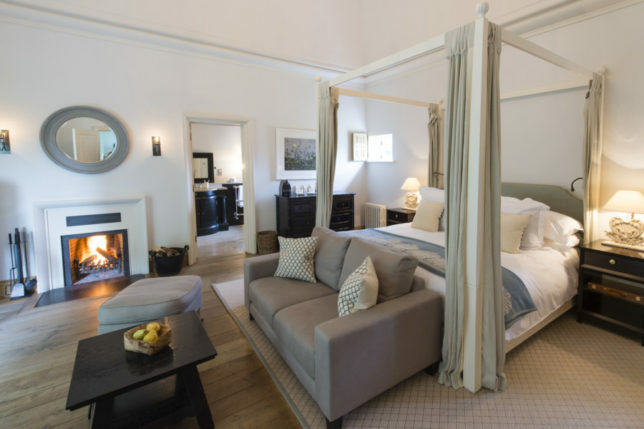 Lime Wood likes to think of itself as a luxury country house hotel with a difference. 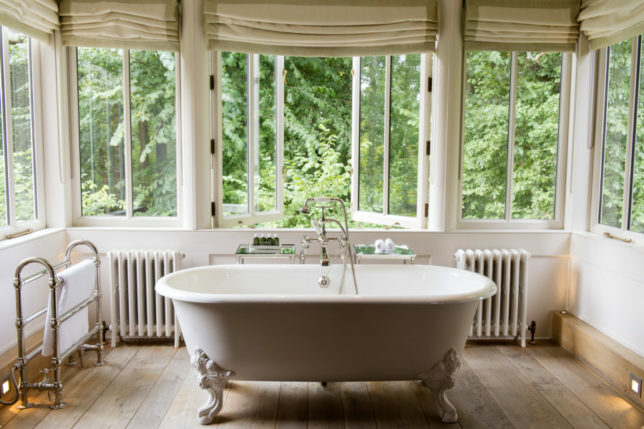 They have used the building’s classical structure as the basis of their design but have lovingly renovated it, keeping the spirit of its past, taking inspiration from its extraordinarily beautiful surroundings and adding the odd contemporary twist to bring it to life. The décor is an elusive and enticing balance of both luxurious and relaxed design. Lime Wood have made the most of local materials to ensure that the interiors complement the surroundings. 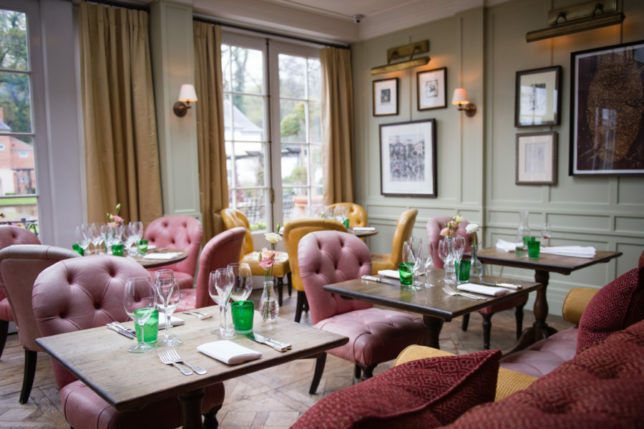 In order not to lose the building’s original charm, the furniture is an eclectic mix of antique and bespoke pieces with hand-picked artwork and objects d’art. In honour of it’s history as an old English country house, there’s the odd eccentric touch to always give something to be amused by. 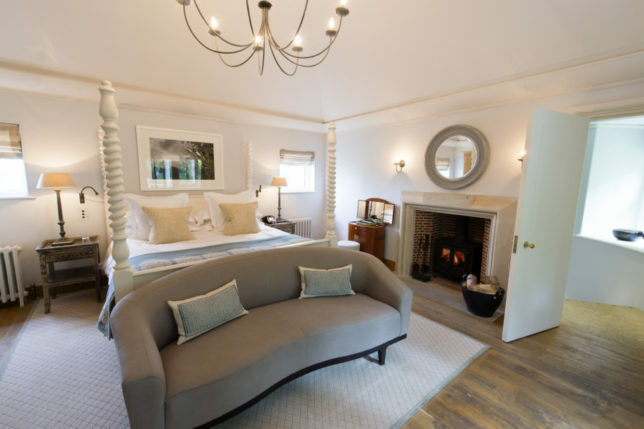 This is the perfect place to kick back, relax and soak up the atmosphere in the heart of the New Forest. 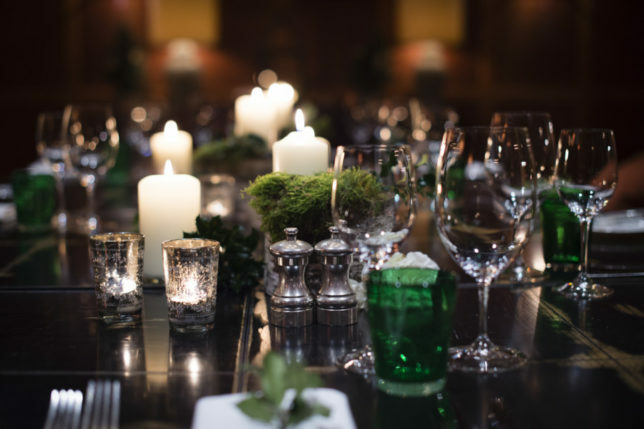 Hartnett Holder & Co is a relaxed, stylish and comfortable upscale restaurant – full of character, yet unpretentious. 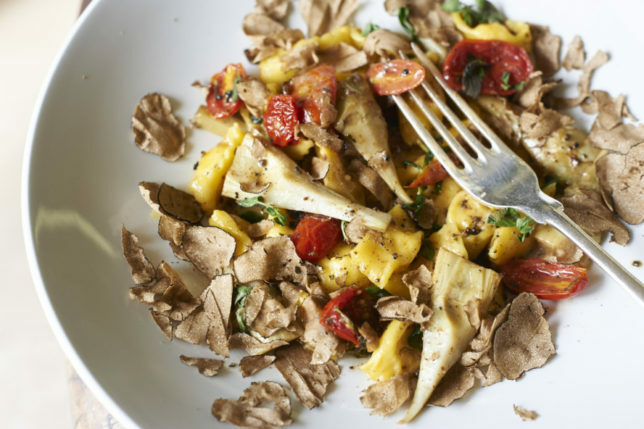 Angela Hartnett and Lime Wood’s Luke Holder, with their team, create locally sourced English dishes with a respectful nod to the seasons and to Italian culinary ideologies. This collaboration is reflected in their fresh, confident approach ensuring that this is “fun dining, not fine dining”. 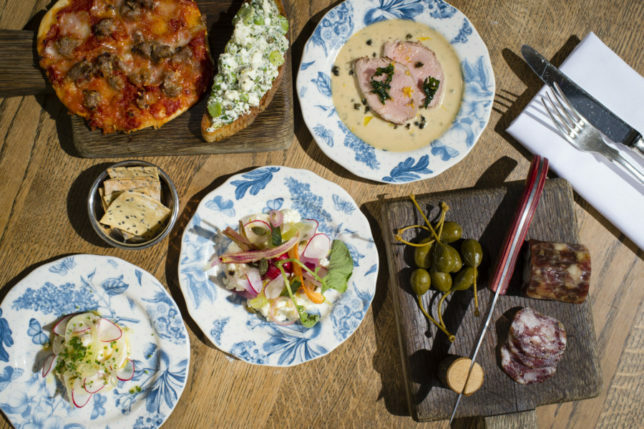 Hartnett and Holder’s food is out-and-out British yet comes with the much loved Italian approach to eating – where sharing and provenance is everything. The style is chefs’ home-cooked food not chefs’ food cooked for restaurants. Both Angela and Luke are famed for their informal, grounded style of cooking and their respect for local produce. 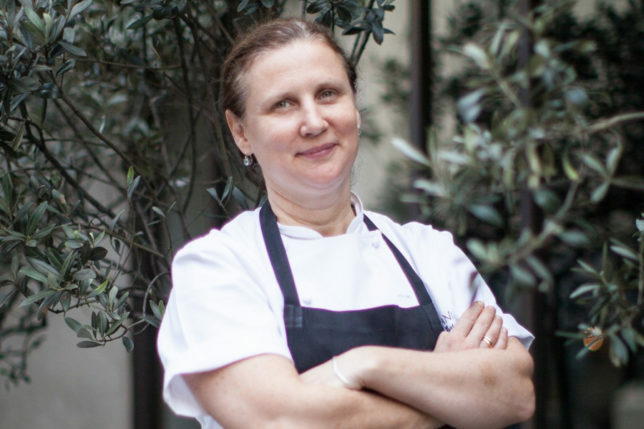 Don’t miss our interview with Angela Hartnett in the November Edition of SLOAN! Magazine. As we perused the menu it was clear that in addition to English classics there was a healthy number of Italian influenced forest dishes and also apparent was the influence of both Angela and Luke’s much admired signature styles. 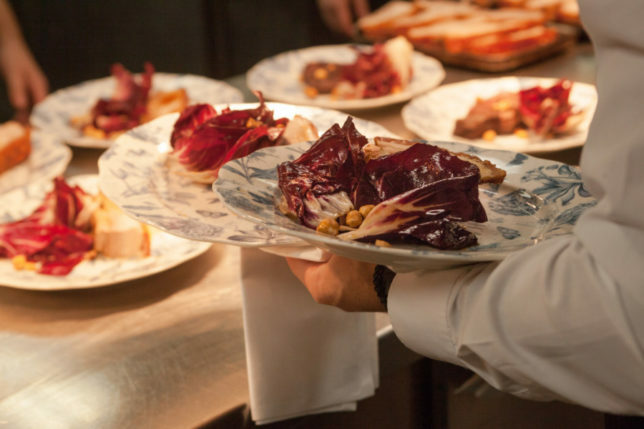 Signature dishes much loved by restaurant regulars remain constant on the menu with other dishes changing regularly dependent on the bounty from New Forest suppliers and what’s in season. 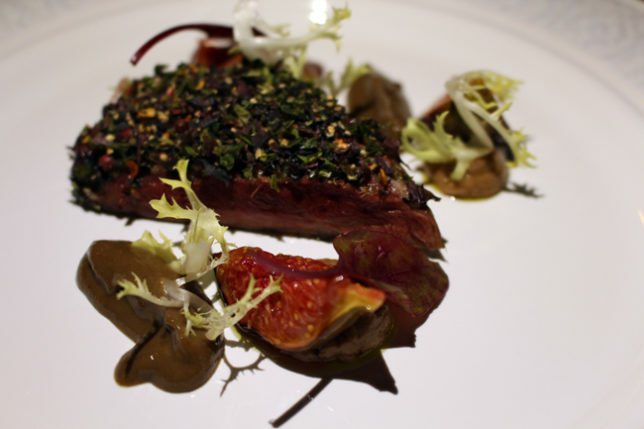 To start, I had the seaweed cured Wild Mallard with pink peppercorns, chilli, soused figs, bacon & mushroom. The seaweed curing technique really raised this duck dish to the next level. 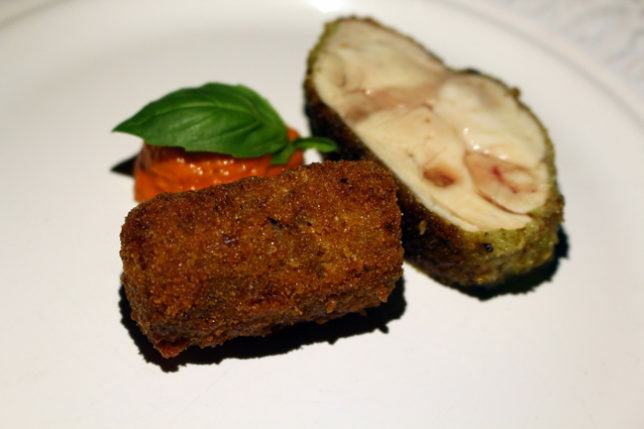 My dining companion went for Herb Crusted Rabbit which was served with crispy trotter and romesco sauce. Both meats achieved a perfect balance of flavours and textures on the same plate. The chef presented us with a linguine dish in the traditional Italian style of eating a pasta course before the Secondi meat/fish course. 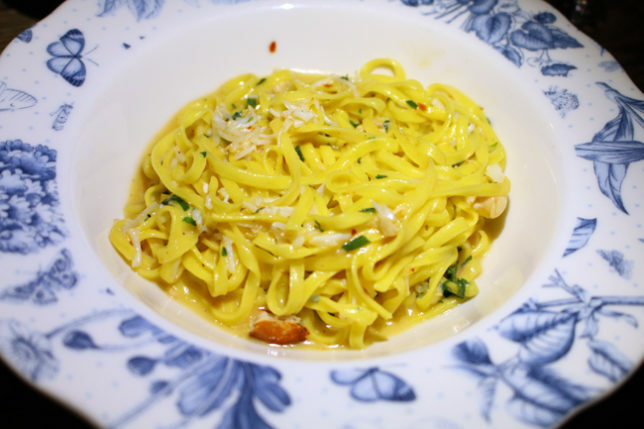 The pasta was mixed with buttered crab and the flavours of fiery chilli, fresh parsley and aromatic garlic burst forth on the palate. 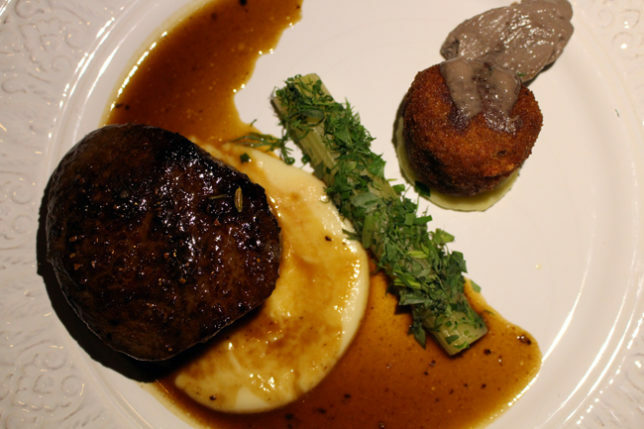 Moving on to mains, my dining companion chose the Rump Fillet of Beef served with crispy tongue & cheek and a celeriac puree – again a delicious combination of taste and flavour with all the elements in complete harmony. 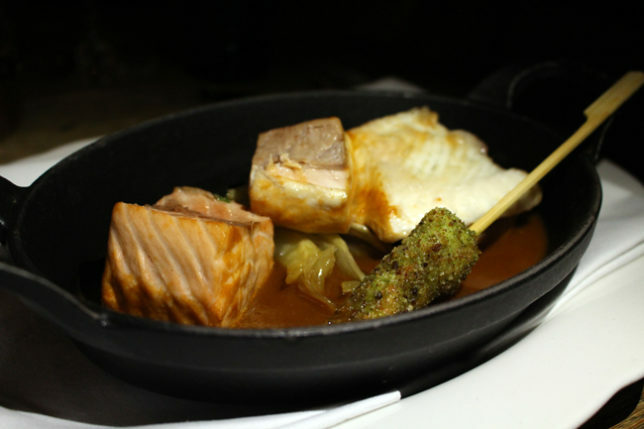 I opted for the Seafood Stew – a dish with clear Italian influences of the flovour and style of zuppa di pesce. This fish used in the dish were halibut, salmon, langoustine and hake. 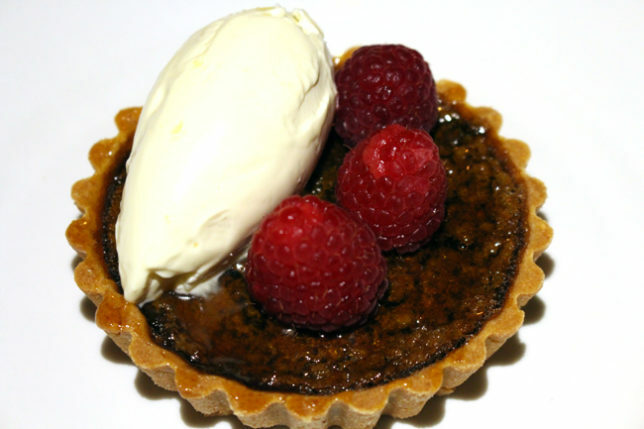 To finish, my dining companion had the Treacle Tart served with raspberries and clotted cream – such a divine dessert. 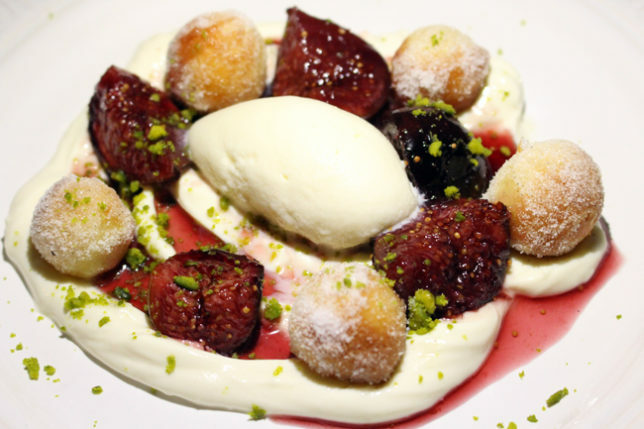 I enjoyed the Poached Figs with mini fluffy doughnuts and a creamy milk ice cream. Service was excellent as to be expected and our waitress was attentive and accommodating whilst the sommelier’s wine knowledge and skilled pairings of wines like the Pinot Noir Chamonix from Franschoek and the Venetian Tommasi ‘Arele’ shone through even more so as she was a woman successfully disrupting the traditionally male-dominated wine industry. With women making up only 15% of all master sommeliers, we hope that over the coming years more women push through to address the balance. Hartnett Holder & Co is definitely a restaurant we enjoy coming back to time and time again for its acclaimed culinary creations but perhaps less well known is the fact that Lime Wood also houses an exceptional hotel spa which I was looking forward to visiting after a night of comfort and seclusion in our beautifully appointed room. The next day I was treated to an indulgent three hour spa experience courtesy of my soporific therapist at the Herb House Spa. The hotel spa is dedicated to natural well-being and inspired by its forest surroundings. 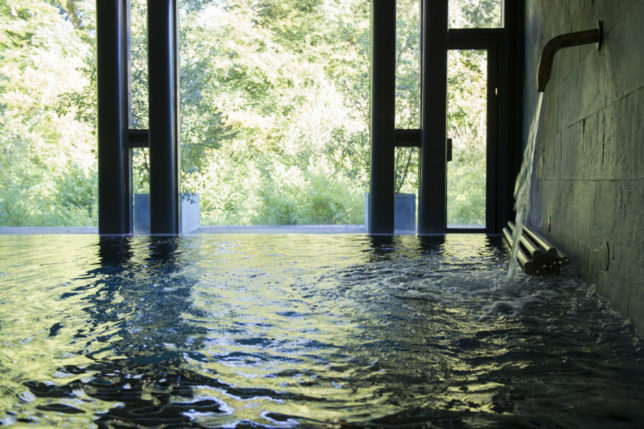 Upon entering the spa you are instilled immediately with a sense of calm, well-being and serenity which makes this the perfect chilled out retreat to escape from the pressures of modern life. 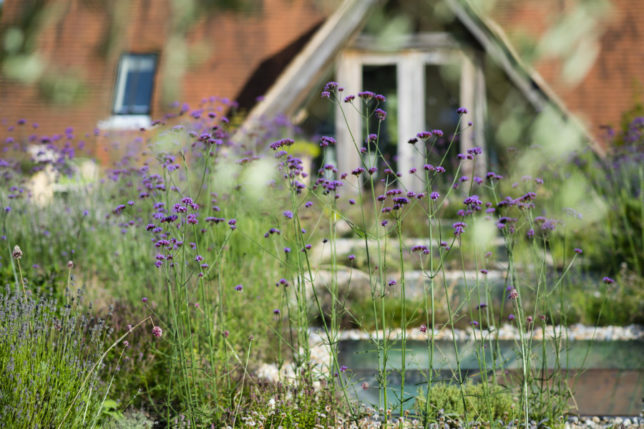 Designed over three levels, Herb House has a massive Sauna and indoor HydroPool with stunning forest views, a Mud House, a steaming outdoor Hot Pool, eight spacious single treatment rooms and two magnificent double treatment rooms. 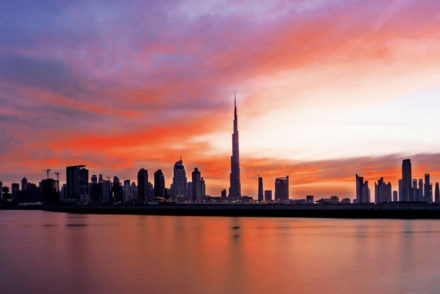 My spa experience was the new It’s All About You package which has just launched this season. With a range of four different personalised treatment options based on your mood or needs, there is an indulgent afternoon ahead of you no matter what your preferences. 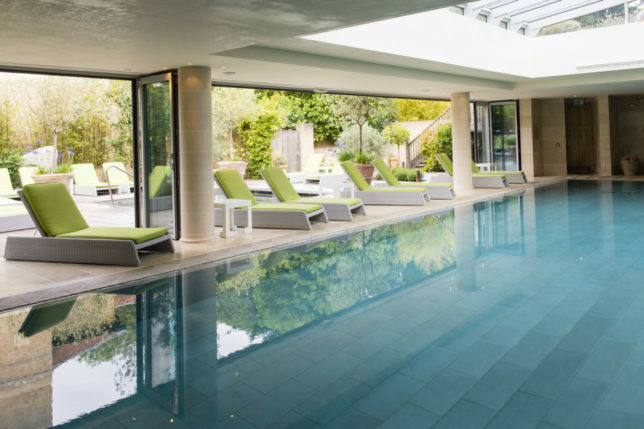 I enjoyed the Pamper Me package which consisted of an aromatherapy foot bath, a gently aromatic body scrub, a bespoke full body massage, a skin-specific facial and a naturally healing reflexology treatment. It’s All About You is truly a revitalising mind and body experience. Your indulgent spa day doesn’t stop the moment you step out of the treatment room. 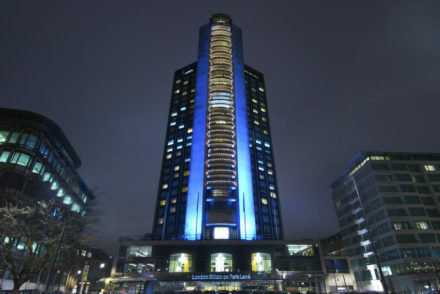 All of the ‘It’s All About You’ spa days include a carefully chosen menu, created to complement your tailored package. 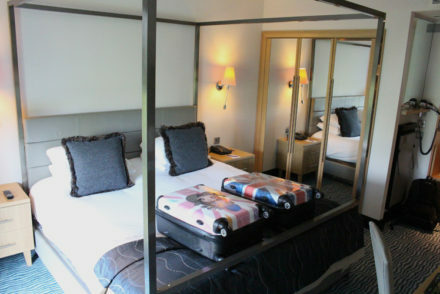 A morning drink, lunch, afternoon tea and treat are included in the price.